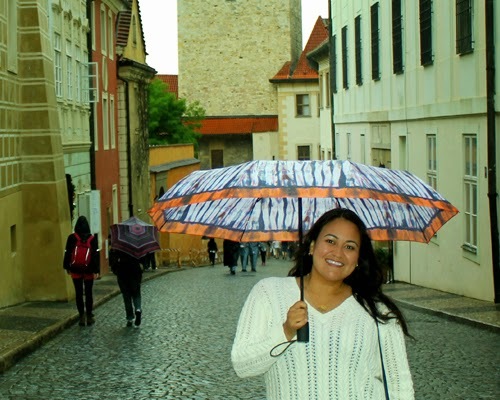 There is only one thing I love more than being an total tourist, and that is being a tourist when it rains! On our last full day in Prague, we spent the morning wandering around the Old Town Square taking in the Astronomical Clock while we ate a Trdelnik and enjoying some beers with lunch before we spent the afternoon taking a guided tour of The Prague Castle and the St. Vitus Cathedral. It rained almost the entire time we were on the tour, but it was great because we braved the rain and got some excellent photos of everything with a minimal number of people around! 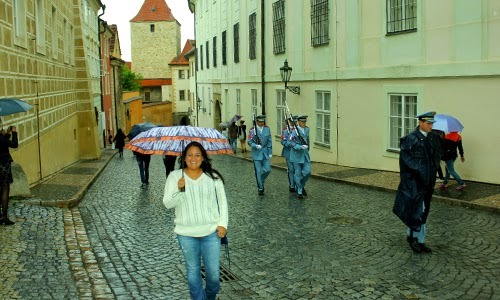 I was oblivious that the soldiers were heading up for the changing of the guard! It was much cooler than I anticipated for July in Europe and it was compounded by the rain, so I bought this sweater at a local Zara shop for $20. I probably could have spent more time and bought something more "Czech" but I ducked in and bought this in the middle of the tour the day before and I already knew how Zara sizing runs, so I didn't have to take multiple sizes to try on. I was in and out of the shop before the tour guide finished explaining that we were in the "American" side of town. After this tour of the castle and cathedral, we did spend time and bought some nice Bohemian crystal pieces as well as some garnet jewelry that I had been wanting because it is Mr. Fantastic's birthstone. 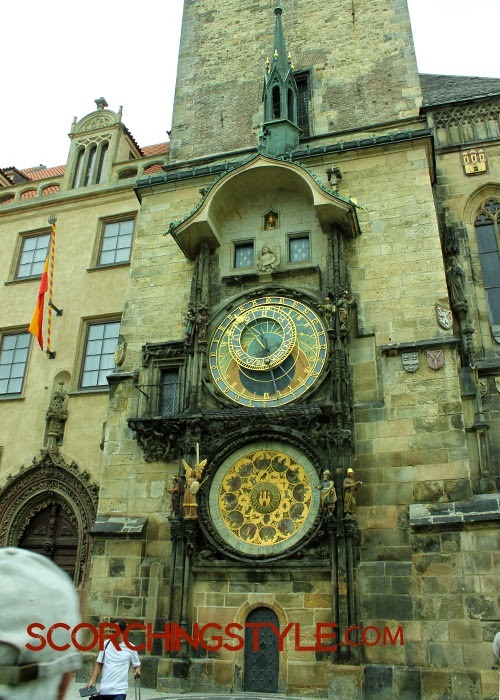 The Astronomical Clock in Prague is just beautiful. 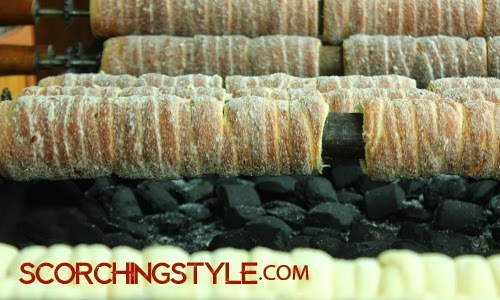 Trdelnik, our breakfast of champions. This is how they cook them over coals. 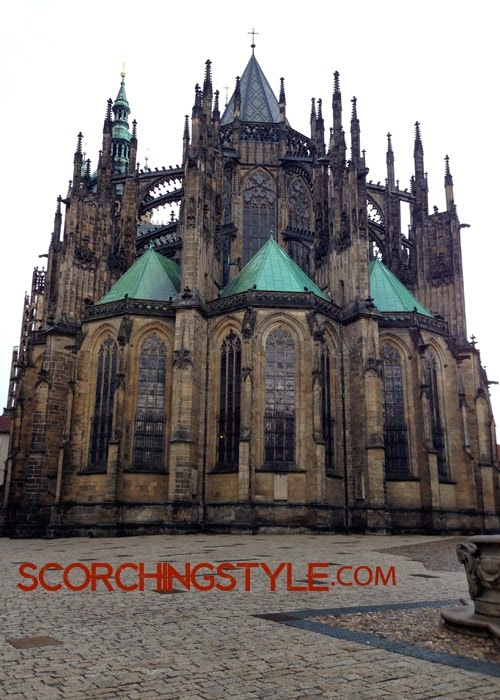 The back of St. Vitus Cathedral. The front is under renovation and I was happy the rain scared away most tourists! 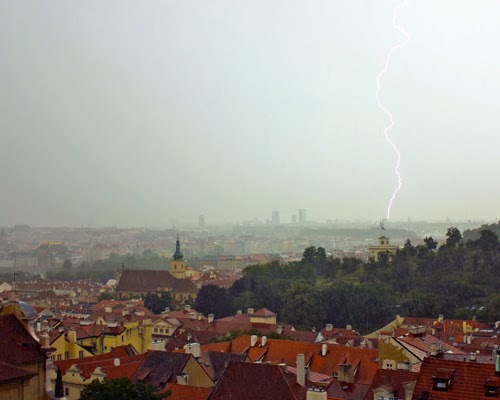 Lightning strikes over Prague. 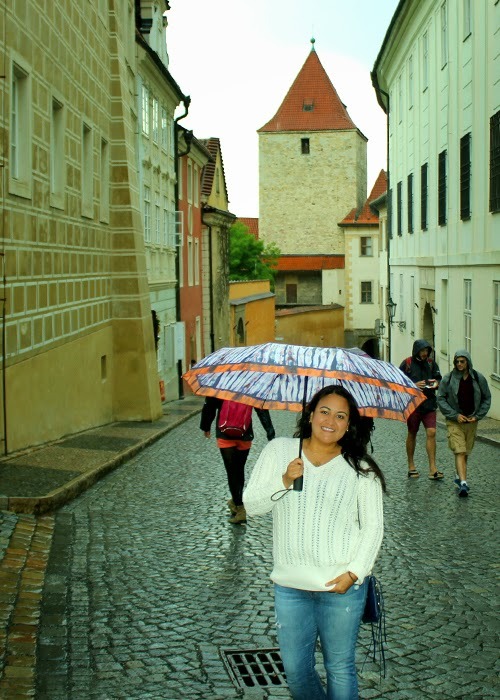 We were at a lookout point from the Prague Castle when we took this photo. I have alot of sweet memories of our days in Prague and I will definitely have to do a post of all the really neat things we got to see. But these photos above are some of my favorites, especially the one of the lightning strike because I'm never that lucky with my photos, even when I TRY!